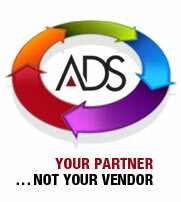 As your partner – ADS shoulders the responsibility of handling your compliance with 3rd parties. We are well-positioned to manage this cumbersome task via our well-established relationships with a comprehensive array of industry specific software companies. This network of support allows us to successfully integrate enhanced capabilities.